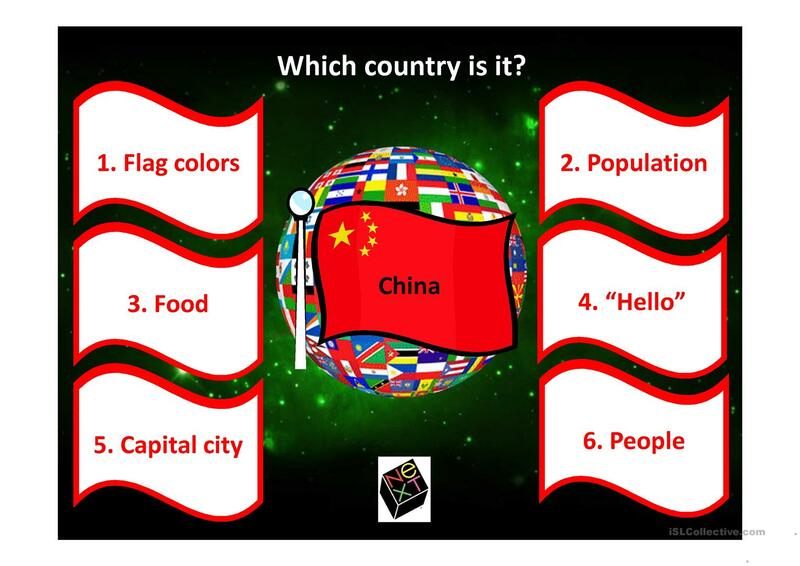 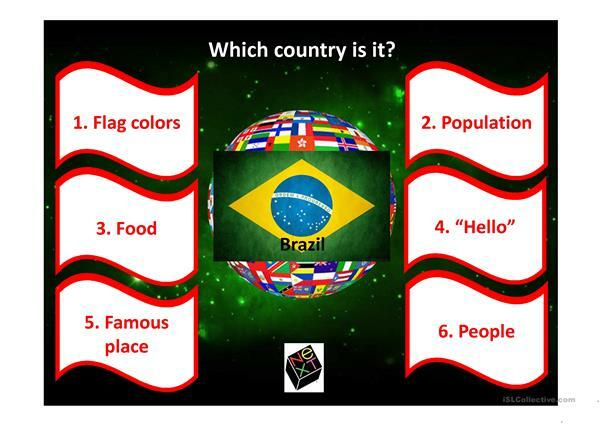 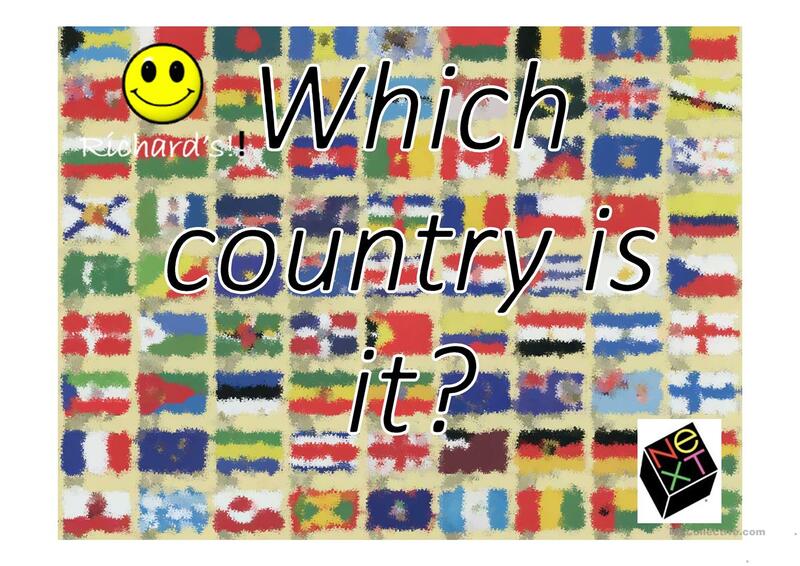 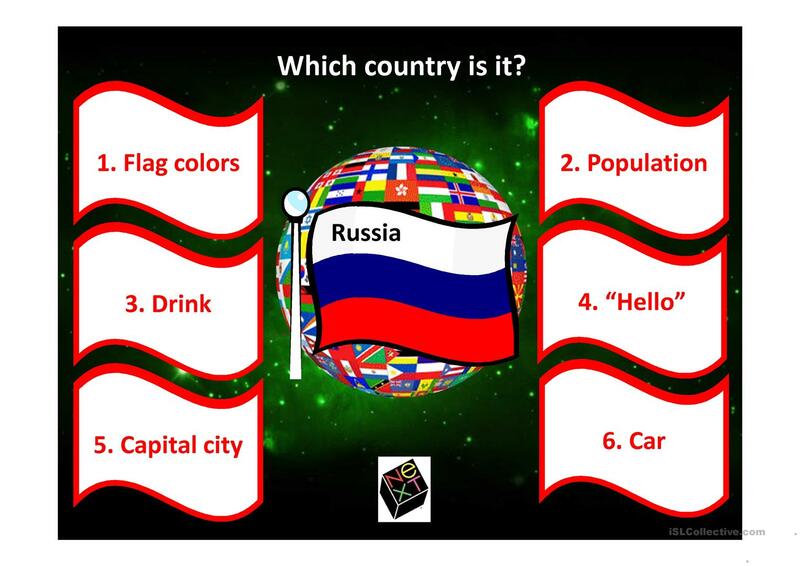 roll a dice or choose a clue (1-6) and have the students guess which country is being described. 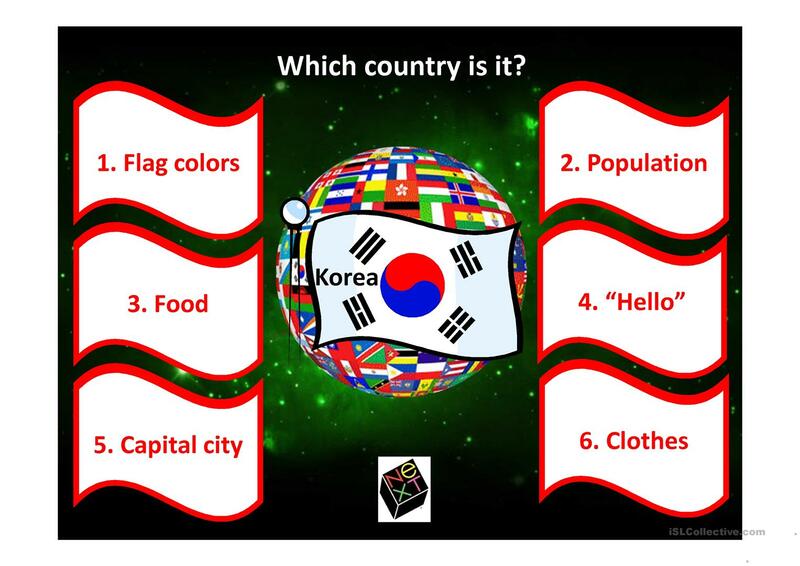 The present printable, downloadable handout is best suited for business/professional students, high school students and adults at Pre-intermediate (A2), Intermediate (B1), Upper-intermediate (B2), Advanced (C1) and Proficient (C2) level. It is excellent for strengthening your students' Speaking and Reading skills. 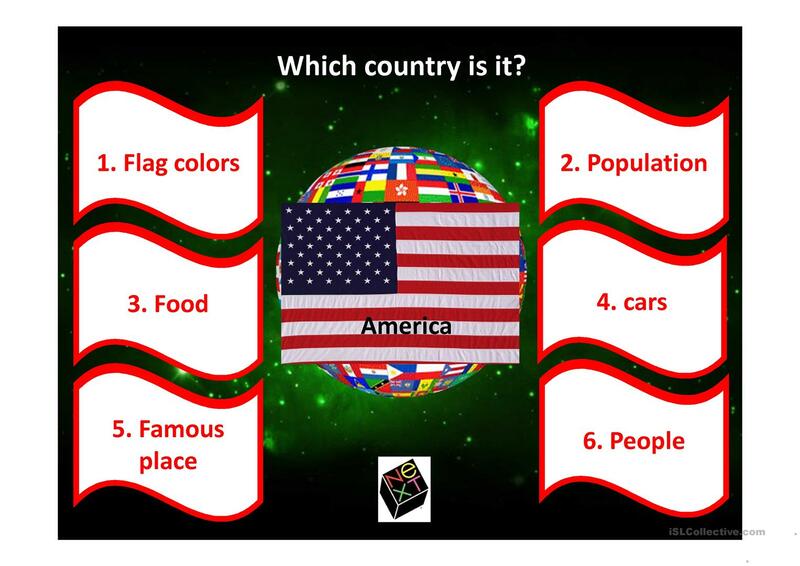 It centers around the vocabulary topic of Countries. The answers are provided, too.